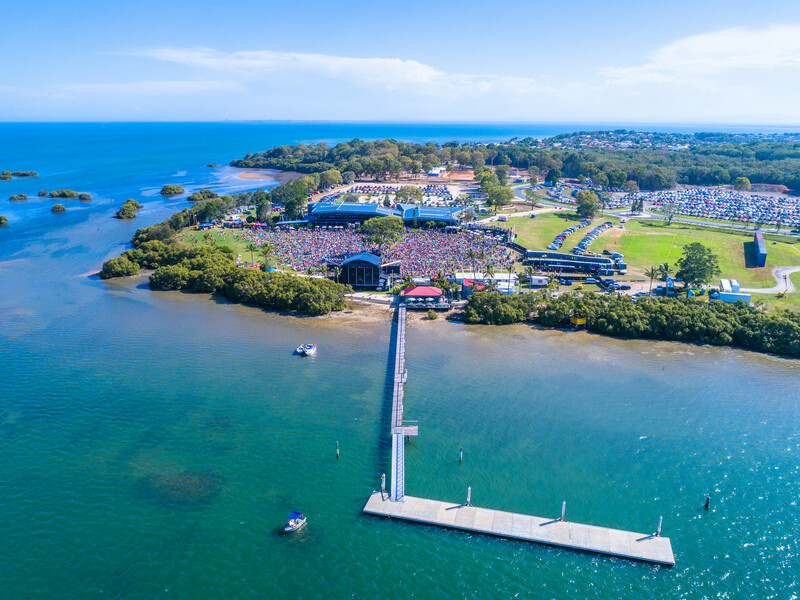 On the glistening shores of Pumicestone Passage, a stone’s throw from the iconic Bribie Island is the brand new BIG4 Sandstone Point Holiday Resort. 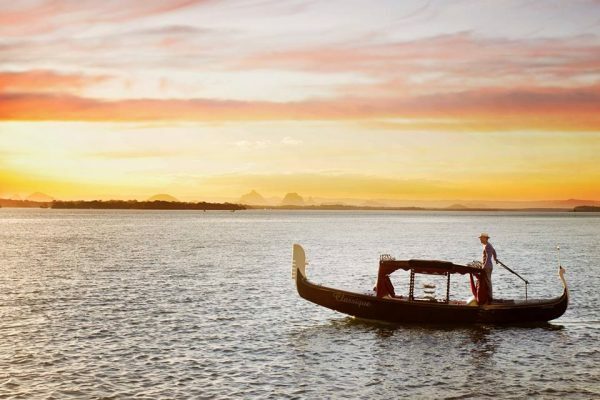 Located directly in between Brisbane CBD and the Sunshine Coast, there is plenty to do with magnificent beaches and scenic bushland showcasing the best of South East Queensland escapes. Whether your stay is an adventurous one with family or simply a relaxing weekend away, our aim is to ensure your experience is memorable for all the right reasons. 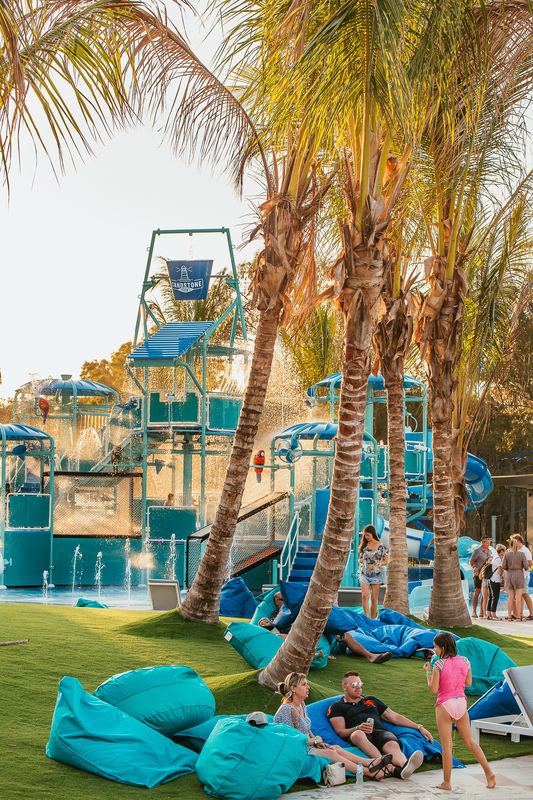 Make the most of the Resort’s facilities including our Waterplay park, 500sqm pool, playground, jumping pillow, tennis court, and more. Offering a variety of accommodation options for every type of getaway, BIG4 Sandstone Point Holiday Resort is a holiday destination like no other. Featuring modern coast-inspired villas, glamping tents as well as camp and caravan sites. 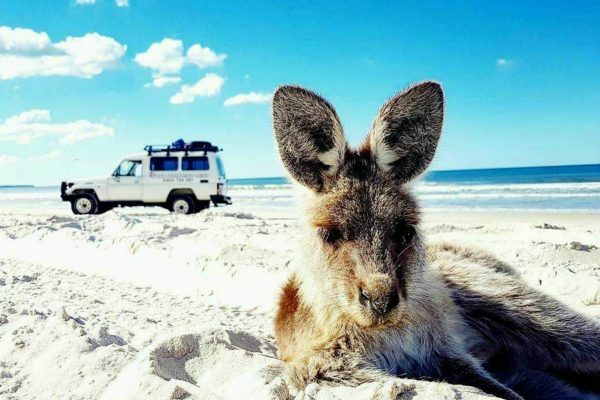 Stay with us and experience all that the Moreton Bay Region has to offer from four wheel driving adventures to authentic trawler-to-table dining experiences. 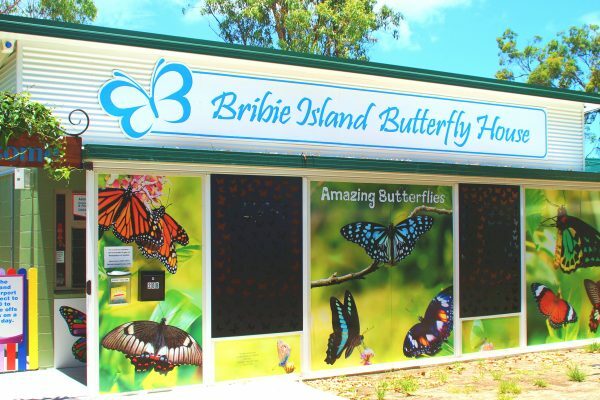 There’s plenty to see and do with 34km of sand island right on our doorstep and an abundance of local attractions to keep the whole family entertained. Our world-class facilities and entertainment keep the whole family entertained year long. Featuring our state of the art 500sqm pool, kid’s waterpark, jumping pillow, cinema and more! Right across the road is the award-winning Sandstone Point Hotel sitting on 200 metres of unobstructed water-frontage, the hotel is a must visit on any trip to Queensland. Home to a beautifully appointed restaurant, fish and chippery, petting zoo, gorgeous function facilities and world-class entertainment. Winning Australia’s Best Hotel and Queensland’s Best Entertainment Venue, Sandstone Point Hotel has seen the likes of Bryan Adams, Suzi Quatro and The Beach Boys. Indulge in live music every weekend and incredible views at a hotel unlike any other.